Israeli soldiers abducted, on Thursday evening, a Palestinian child who was shot by an army sharpshooter, in the al-‘Eesawiyya town, in occupied East Jerusalem, after the soldiers chased an ambulance transporting him to the hospital. 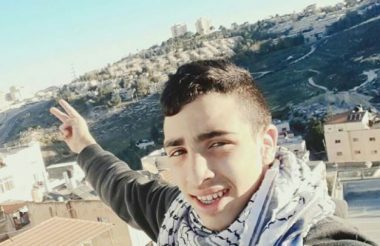 The child, identified as Mos’ab Mahmoud Mheisin, 14, was shot by several live rounds in the lower extremities, including the groin. One of his relatives, identified as Bashar Mheisin, said that Mo’ab was standing just a few meters away from his home, and he and his family were on their way to a social event, when clashes took place after the soldiers invaded al-‘Eesawiyya, and clashed with local youths, who hurled stones at their vehicles. After being shot with several live rounds, a Palestinian ambulance moved him to the al-Makassed hospital, in the at-Tour area, and the doctors later decided he needs further treatment at Shaare Tzedek Israeli medical center. Mheisin stated that the soldiers, driving a civilian car, chased the Palestinian ambulance, before stopping it, and forced the driver to park it near Augusta Victoria hospital, not far from al-Makassed. Mheisin added that the incident led to at least an hour delay in transferring the child, despite his serious injuries, and his urgent need to surgery. The child’s family managed to stay with him until midnight, but the guards forced them to leave, after questioning him and his uncle Bashar. On Friday, an Israeli ambulance took the wounded child to the District Court in occupied Jerusalem, where a judge ordered him under interrogation at the Police station in Salaheddin Street area. Mohammad Abu al-Hummus, a member of the Follow-Up Committee in al-‘Eesawiyya, said the soldiers frequently invade the town, and fire live rounds, rubber-coated steel bullets, gas bombs and concussion grenades, in addition to occupying rooftops to use them as firing posts during clashes. He added that the wounded child was shot by one of the army sharpshooters, who occupied a rooftop of a residential building, one of many that were utilized by the soldiers as firing posts and monitoring towers. Abu al-Hummus further said that the soldiers deliberately conduct provocative acts during their invasions, and resort to violent searches of homes and property, in addition to harassing the Palestinians and preventing them from even standing in front of their own homes, or on their balconies. Israeli Occupation Forces (IOF) arrested on Friday the Palestinian ex-detainee Thaer Halahla after stopping his car at a makeshift barrier near al-Khader town, south of Bethlehem. He was taken to an unknown destination. Halahla, 35, from Kharas town in al-Khalil, was released from Israeli jails in mid October, 2016, after being held illegally in administrative detention. 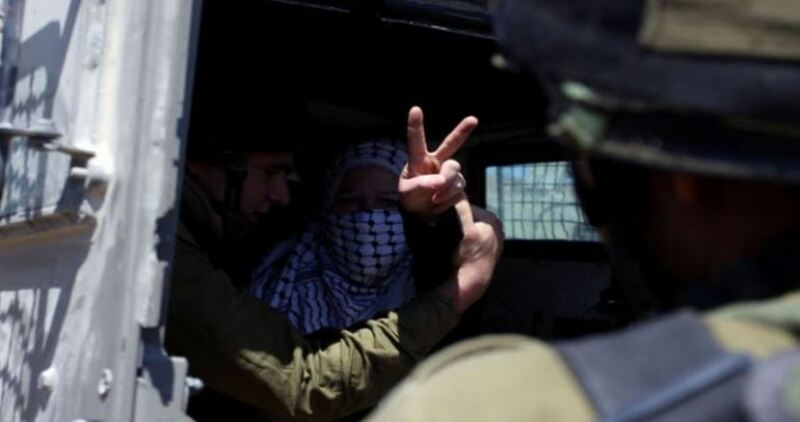 The administrative detention order was renewed more than once against him. The Islamic Jihad ex-prisoner served more than nine years of imprisonment distributed over different periods in Israeli jails. 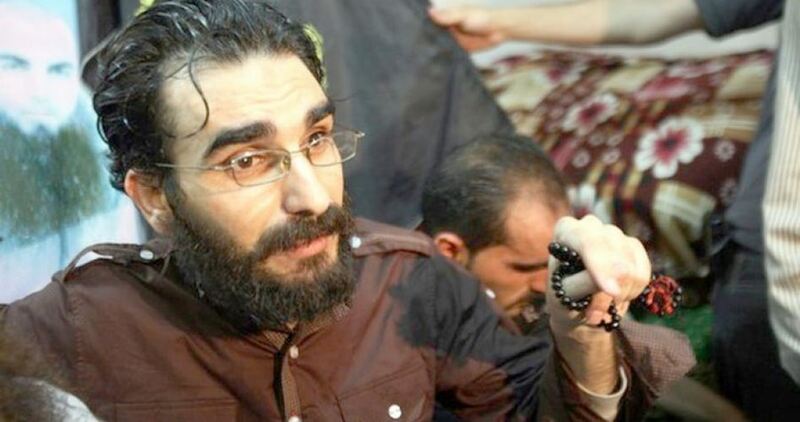 He went on 78 consecutive days of hunger strike in protest at being held administratively without charge or trial. 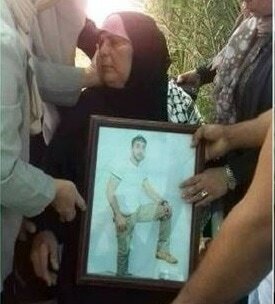 The mother of a Palestinian detainee underwent a sudden health setback on Thursday, the third day of her open ended hunger strike. The health of the mother of prisoner Abd al-Salam Bani Oudeh, from the northern occupied West Bank, has taken a turn for the worse three days after she started a hunger strike inside a sit-in tent set up in Tubas to speak up for the prisoners’ cause. Bani Oudeh’s mother was rushed to the Turkish Hospital in Tubas. Prisoner Bani Oudeh is serving a twenty-year-sentence in Israeli jails. The Israeli Occupation Authorities (IOA) released late Thursday the Palestinian prisoner Musab Akef, from Nablus, after spending eight months in administrative detention. According to the PIC reporter, Akef was detained more than once by the IOA. He served about two years behind Israeli bars despite his difficult health condition. Speaking to the PIC correspondent, the newly-released detainee said that his release was not expected as the IOA earlier threatened to extend his administrative detention, according to which he was held without charge or trial, for eight months. The Israeli occupation forces (IOF) announced arresting a Palestinian female on Friday at Qalandiya checkpoint, north of Occupied Jerusalem, for allegedly finding two knives in her bag. Radio Israel said that the detainee was transferred to one of the Israeli army's interrogation centers. In another context, Hebrew sources reported that 10 settlers were injured on Friday after Palestinian youths hurled stones at their cars, according to Quds Press. 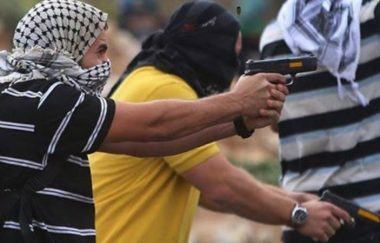 The Hebrew website 4040 said that two cars belonging to Israeli settlers were attacked with stones by Palestinian youths near Sinjil village, north of Ramallah. Ten settlers were reportedly injured in the incident, including a number of them suffering from shock. The website added that the injured settlers were transferred to Israeli hospitals for treatment. 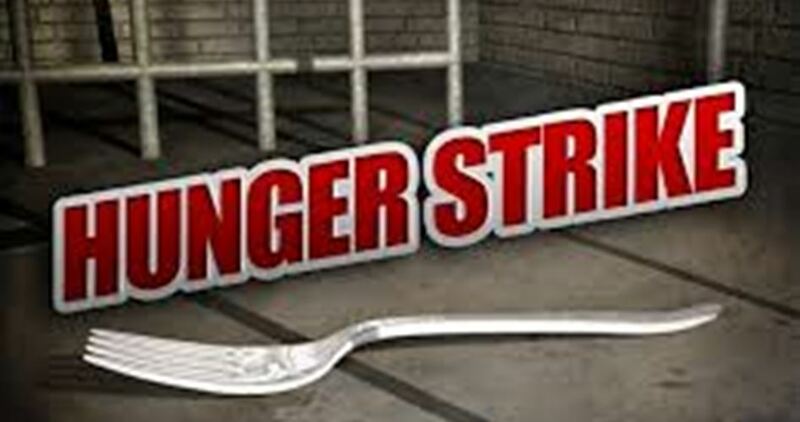 Several areas in the occupied West Bank witnessed confrontations with the IOF soldiers in solidarity with the hunger-striking Palestinian prisoners and in response to calls by the Palestinian forces and pro-prisoners committees for "a day of anger" in the Palestinian territories. Nearly 1,500 prisoners in Israeli jails started a hunger strike on 17th April 2017, which coincides with the Palestinian Prisoner Day, to regain their human rights which were withdrawn by the Israel Prison Service and which they had clinched in previous hunger strikes. The number of the striking prisoners is expected to increase gradually. The Palestinian Prisoners National Movement has launched 23 mass hunger strikes in Israeli jails since 1967, the latest of which was a 63-day hunger strike by administrative detainees in 2014. Dozens of individual hunger strikes have emerged recently against administrative detention. 6,500 prisoners are being held in Israeli jails including 57 women, 300 children, 500 administrative detainees and 1,800 sick prisoners. Undercover soldiers of the Israeli army infiltrated, Friday, an area close to the Hebron Governmental Hospital, in the southern West Bank city of Hebron, and abducted five young Palestinian men. Eyewitnesses said clashes took place between local youngsters and Israeli soldiers, who invaded the Zawiya area, and the area surrounding the hospital. They added that undercover soldiers infiltrated the area through King Talal Street, next to the hospital, and ambushed five young men, before repeatedly assaulting them, and took them to an unknown destination. The soldiers also threw a sound bomb at the Emergency Unit of the hospital, shattering its windows. The Israeli occupation forces (IOF) at dawn Friday kidnapped four Palestinian citizens from their homes in different areas of the West Bank. 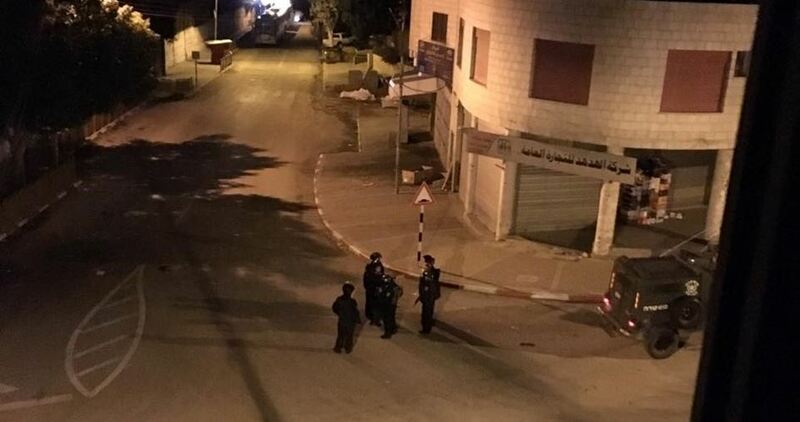 Local sources said that Israeli soldiers kidnapped three brothers from al-Doha town in Bethlehem after ransacking their homes and assaulting their families. 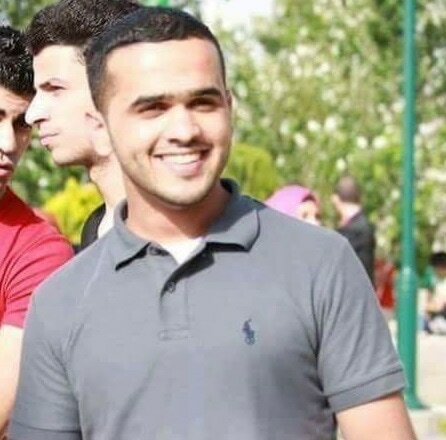 The detained brothers are Mousa, Malek and Hamada az-Zaghari. IOF soldiers also raided homes in the central neighborhoods of Bethlehem city, where they kidnapped 43-year-old Naji Hijazi. 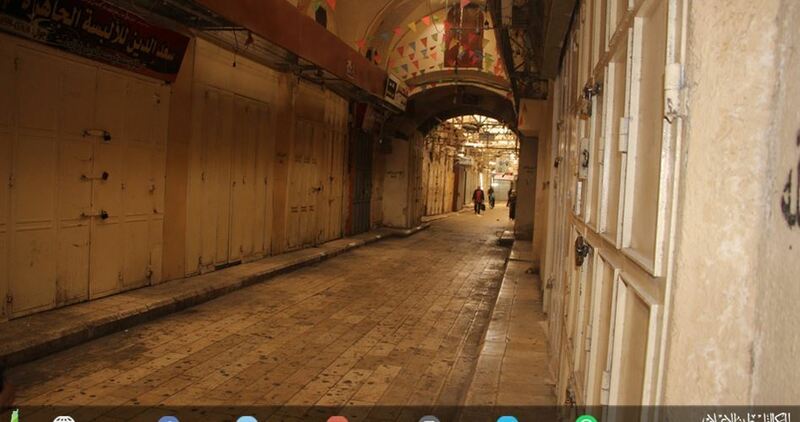 Violent clashes reportedly took place between Israeli soldiers and local young men in the vicinity of al-Halal market during the IOF campaign in Bethlehem. In Nablus, an Israeli military force stormed the new Askar refugee camp to the east and broke into and searched al-Safir Charity. Eyewitnesses said that the military force brought with them a number of detainees, who had been already arrested during the past few days, with no known reason. In Jenin, the IOF raided and pillaged two homes in Fahma village, claiming its troops found a firearm and rounds of ammunition during its search campaign. A local source said, however, that Israeli soldiers ransacked the homes of Luay Sa’abneh and Ibrahim Sa’abneh and interrogated their residents before withdrawing from the village without making arrests. In Ramallah, the Israeli army intensified its presence in Ni’lin town and its vicinity at dawn and deployed military patrols near the separation wall. More than 1,500 Palestinian prisoners continue their hunger strike in Israeli jails for the 12th consecutive day despite the punitive measures imposed by the Israeli Prison Service (IPS) against them. According to the Media Committee for Palestinian Prisoners’ Hunger Strike, the mass “Freedom and Dignity” hunger strike has entered its 12th day challenging the IPS’ collective punishment measures. As some hunger strikers stopped over the past two days taking water, Israeli repression units violently stormed Ayalon Ramle solitary confinement more than once and attacked the striking prisoners. Some five prisoners suffered different injuries during the attack, while several others were transferred to different prisons in an Israeli failed attempt to break their will. Meanwhile, the Captive Movement declared in a statement issued Thursday its total determination to continue the strike till meeting the prisoners’ legitimate demands. The Movement pointed out that Freedom and Dignity hunger strike will witness in the coming days an escalation in the strike. On 17 April, over 1,500 Palestinian prisoners launched an open-ended hunger strike to achieve a series of demands, including an end to the denial of family visits, the right to education, appropriate medical care for Palestinian prisoners and an end to solitary confinement and “administrative detention,” imprisonment without charge or trial. The Israeli occupation forces (IOF) on Thursday evening arrested a Palestinian young man near the Ibrahimi Mosque in al-Khalil city, claiming he was found in possession of a knife and bullets. 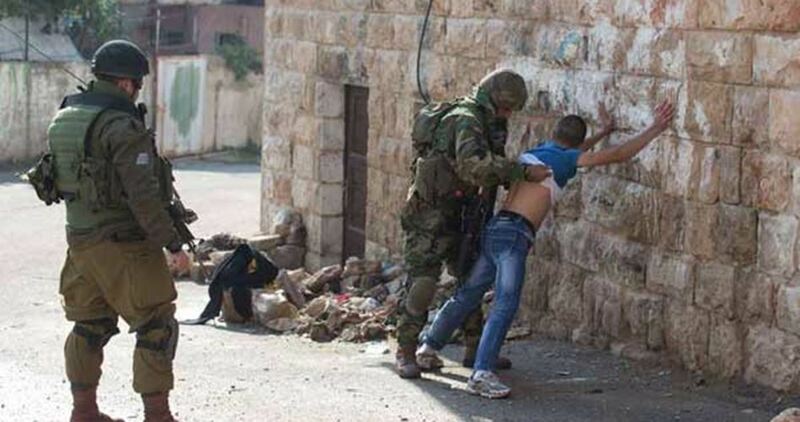 Israeli soldiers at the scene accused the young man of trying to stab one of them. The identity of the detainee is still unknown. Haaretz Hebrew newspaper reported on Thursday that Israeli Prison Service (IPS) confiscates salt and pepper from sections assigned for the hunger striking detainees. Members of Activists for Prisoners group opined that the IPS deliberately confiscates salt because it is the only food of the striking captives in order to pressure them to end the hunger strike. The IPS also pursued other punitive measures against the striking prisoners including deprivation of family visits, confiscation of radios and TVs as well as prohibiting the entry of newspapers and transferring them to other jails. Head of Palestinian Prisoner Society, Qadoura Fares, told Haaretz that the IPS has totally isolated the striking detainees from the outside world. All of the hunger strikers are denied the right of seeing their lawyers, he pointed out.